Protestants invaded the medieval market for religion by launching a relatively simple strategy that owed its success in part to the economic excesses of the medieval Catholic Church. Protestant sects gained members by making all-or-none offers using an uncomplicated pricing scheme that substituted for the highly discriminatory prices of the dominant firm. They were aided by historical, mostly exogenous factors, such as the absence of institutional arrangements that concentrated wealth and the presence of others that dispersed it. Once entry occurred, the Catholic Church could be expected to react in typical fashion. Therefore the questions that are paramount from an economic point of view are the following ones: What were the effects of market entry on the incumbent firm? How did the medieval Catholic Church react to the new kinds of competition, doctrinally and otherwise? Scandinavia, more than half of Germany, large sections of the Netherlands and Switzerland, and areas of Central Europe. Henry VIII, of course, declared religious monopoly in England as well. Those demanders paying the largest amount of consumer surplus for religious services—those in the upper reaches of the demand curve— would tend to switch. 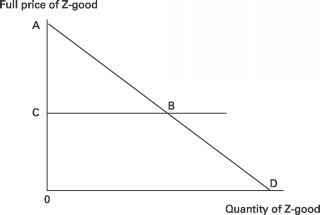 Trades no longer take place at prices between A and B. This means that OQp demanders will likely switch from Catholicism to Protestantism, leaving BD as the residual demand curve for Ca-tholicism.3 Whether the Catholic Church continues to price discriminate or opts for a simple monopoly price, it is clear that average price will fall in response to entry.4 Note that this result would obtain whether the Catholic Church continues to perfectly price discriminate along the residual demand curve or whether it chooses to charge a simple monopoly price. A residual marginal revenue curve (not shown in figure 6.2) may be drawn originating from point B. 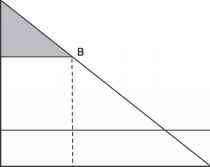 Simple monopoly price would be established on the demand curve at the point of intersection between MCc (= MCp) and the residual marginal revenue curve—at a point lower than B, the Protestant entry price. This is the first testable implication of our theory. A second testable implication is that competition will be most intense in the price region near Pp. Such competition might be expected even in areas that do not finally settle as Protestant. For example, some Spanish and French aristocrats located in the upper regions of demand curve AD may have wished to break away from the Catholic Church but were dissuaded from defecting by institutional impediments, such as primogeniture laws. Essentially, in areas where Catholics and Protestants were geographically contiguous, their prices and rent extractions would have been similar. This results because a Tiebout-like competition—where people "vote with their feet'' in response to local economic policies— would have made these local economies quite alike in their characteristics. (For example, a similar interest rate would have prevailed.) In this case Catholic areas should exhibit the same economic growth and institutional characteristics as Protestant areas. This, of course, confounds an economic interpretation of the effect of Protestantism on economic growth, but we defer discussion of this topic to chapter 8. A third testable implication is that, post-entry, the Catholic Church will attempt to extend its own demand curve by driving up the marginal cost of Protestant churches (MCp in figure 6.2). In order to undertake this action, it must be cost-effective, that is, the marginal revenue of the action must be greater than the attendant marginal costs. For example, the organized suppression of defectors by Church-sponsored inquisitions must generate more revenue than costs. We expect more violence where the marginal product of violence is greater. Did the medieval Catholic Church respond to Protestant entry by employing strategies that are predictable in light of the theory outlined above? We looked for evidence to support our thesis in the historical documents of the Reformation era and in the work of respected historians who have specialized in this field. 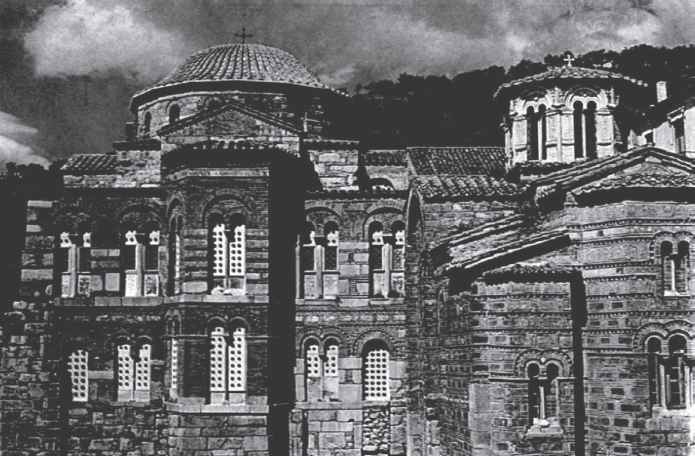 Historical evidence shows that the medieval church responded to market entry on two different levels. On the retail side it took actions to raise and transform product demand, whereas on the wholesale side, the organizational structure of the Catholic Church acted as an impediment to meaningful reform.